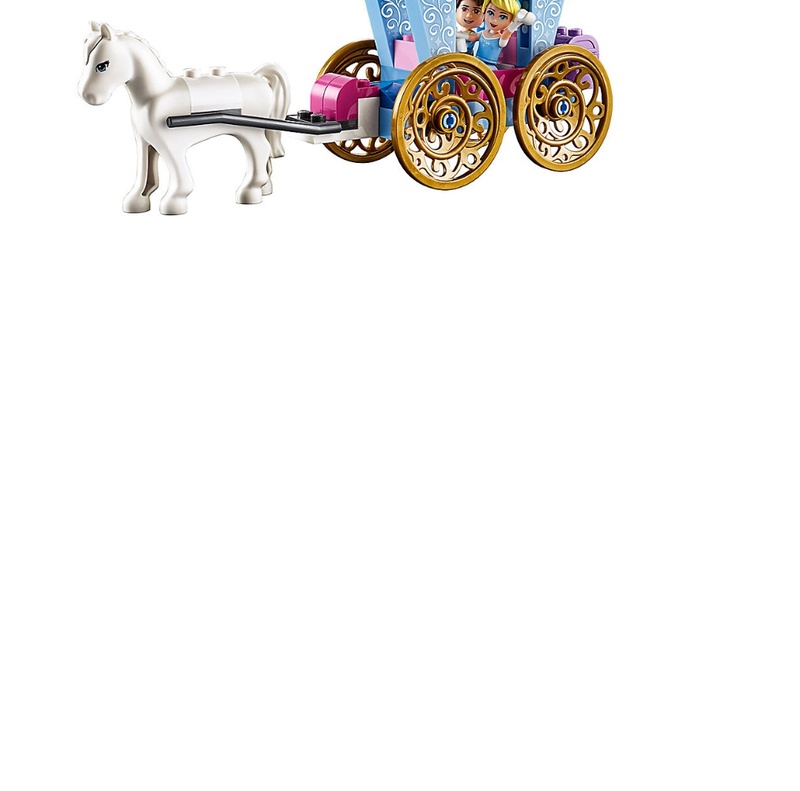 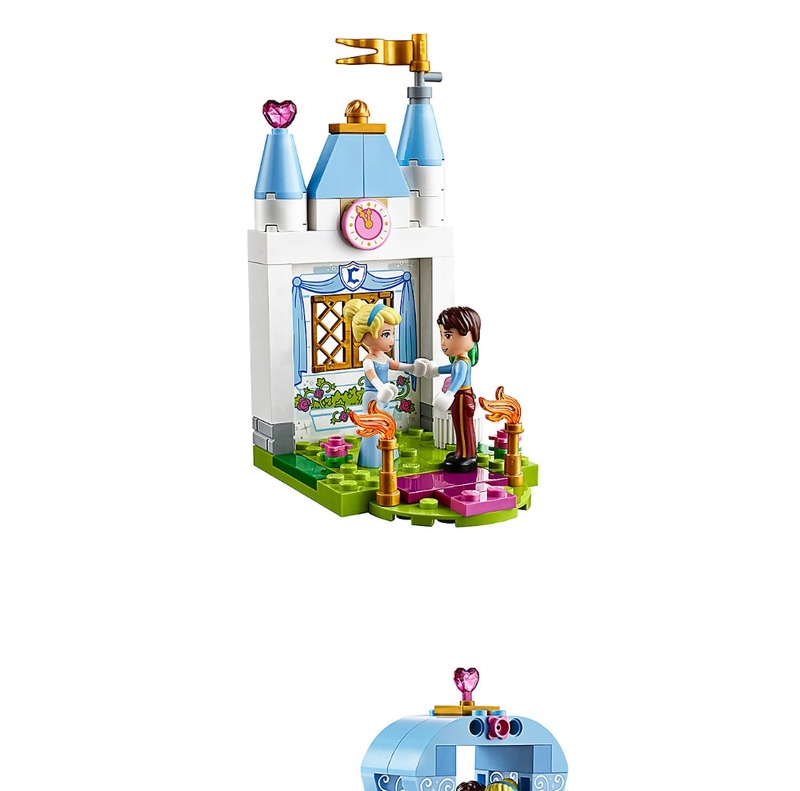 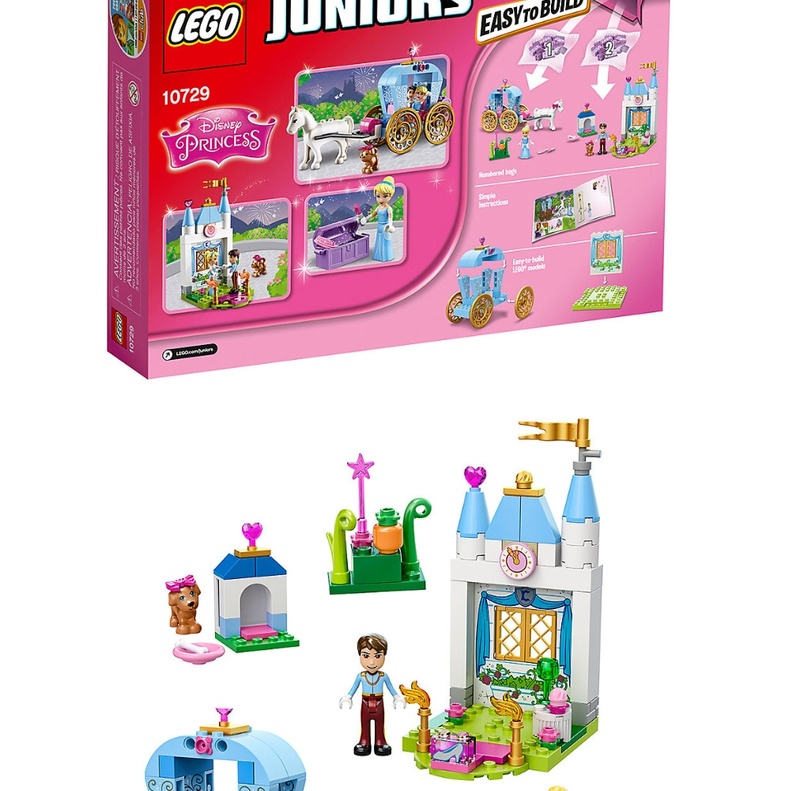 Enter the magical world of LEGO® Juniors Disney Princess™ with Cinderella's horse-drawn carriage, plus a castle with a ballroom, Cinderella's puppy, the dashing Prince Charming and lots of accessories. 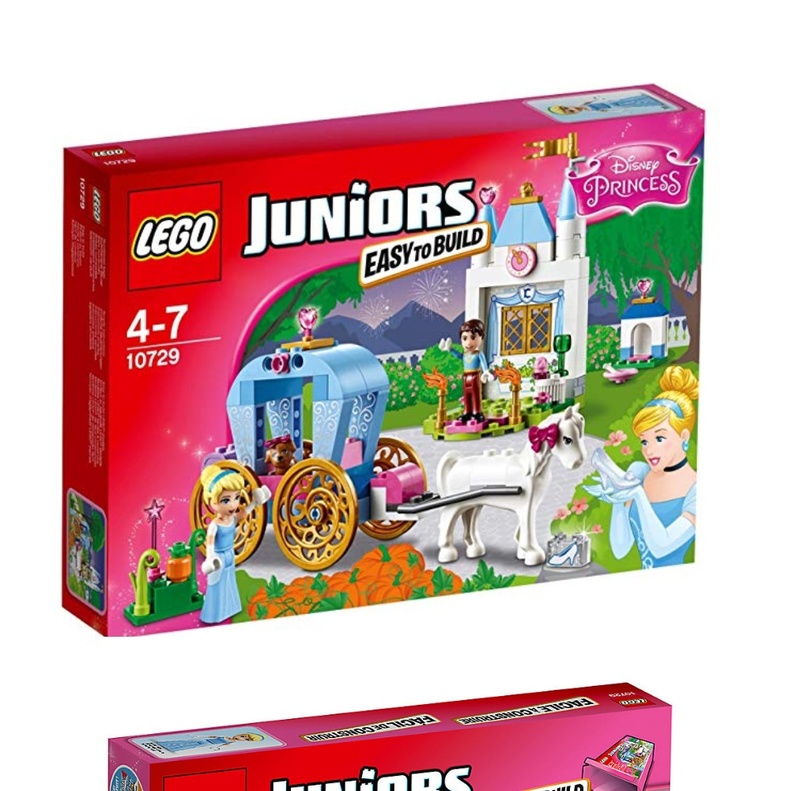 LEGO Juniors is an age-appropriate building experience for ages 4-7, with easy-to assemble models. 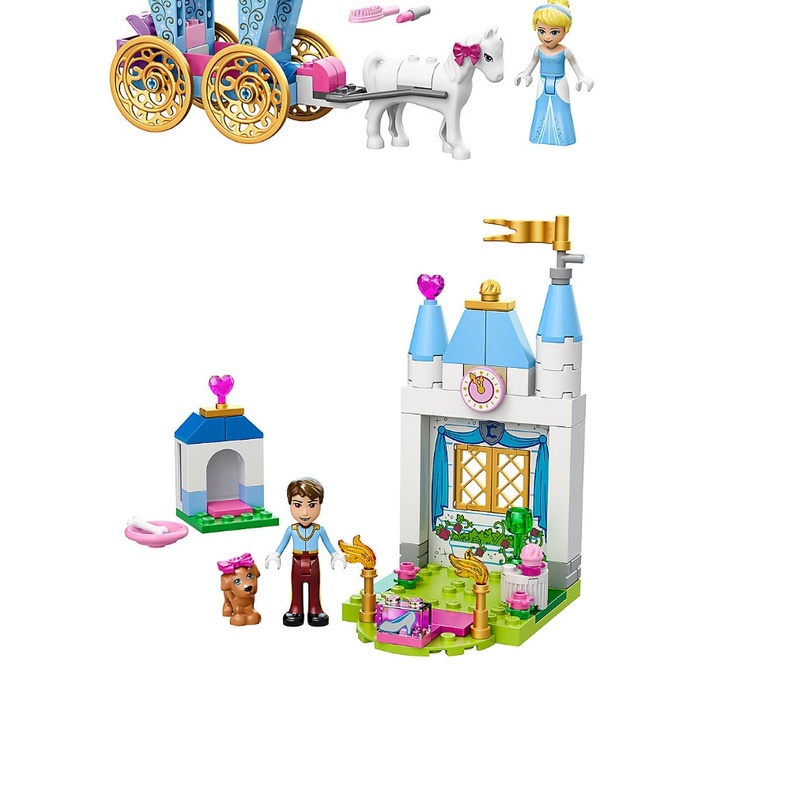 Includes mini-dolls: Cinderella and Prince Charming, plus puppy and a horse.